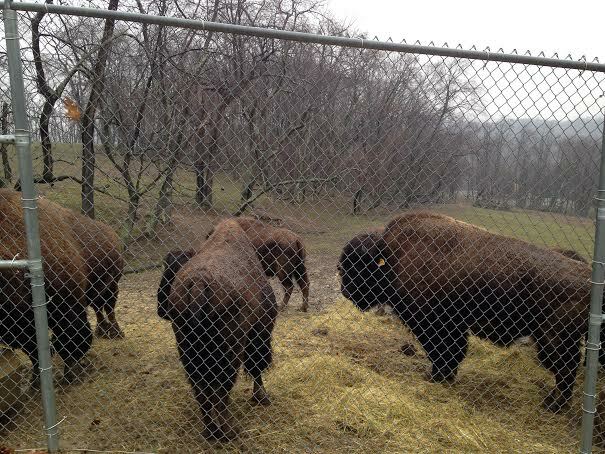 South Park Game Preserve, where the buffalo roam in Allegheny County. This is an awesome place to go and relax for a moment, or spend an afternoon picnicking at. We decided to stop by on Friday night. While not a part of the displays, this deer was pretty entertaining. Tons of ducks and geese at the park. Very amusing to watch. Definitely an improvement from when we went last time, with the removal of the dilapidated buildings. By the time we got up to the Buffalo, it was too dark to get some good shots, so here is a photo from our last visit. They are so entertaining to watch.